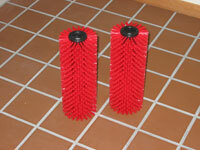 We place red grout brushes on our HOST Machines which specifically is used for hard floors. 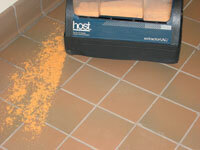 We apply a handful of our HOST cleaning sponges to each square yard of your tiled floor. 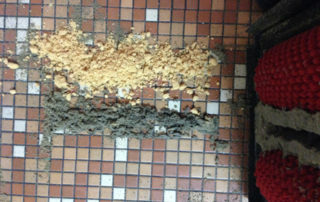 We then brush the sponges with the our special machines to really work them in and let them do their job of absorbing, trapping and dissolving the dirt, debris and soil. 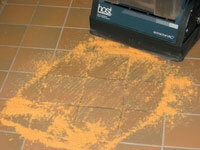 Even hard to reach edges are no problem for us! 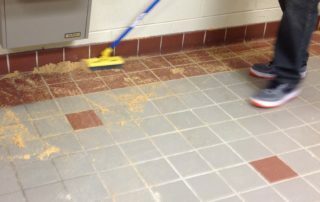 After brushing, we flip a switch and extract the soiled sponges. 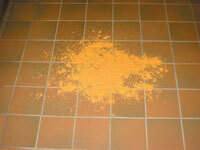 The grout will be clean and virtually dry. It may appear slightly darker in color, but it will brighten up within 15-20 minutes as any residual moisture evaporates.